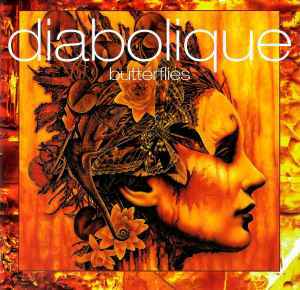 Diabolique were moving from a harsher sound of their first full-length, towards more accessible form of heavy rock with each subsequent release, and this mini-CD is another step forward in that direction. The vocals are more vulnerable and sensitive, the music is mellowed down - some songs ("Summer of her heart" and "Stolen moments") sound like ballads. It was interesting for me to discover that "Rain", in once section, sounds a lot like "This woman's work" by Kate Bush - even the lyrics are almost the same :) Let's suppose it was unintentional, or something like a tribute, although her name is not mentioned anywhere. The album in general sounds to me like a bit heavier but more average version of Terry Hall - there are attempts at hooks here and there, but apart from "Rain" (which reminds of their previous, stronger album), they don't seem to work, for me at least.